Triangle Foodie News: Pho Nomenal Dumplings named best food truck in N.C. These days a clown car at the circus seems more organized than the McCrory administration’s handling of drinking water near coal ash ponds. The finger pointing, confusion and excuses keep popping – each stranger than the one before. Let’s review the script: Back in Feb. 2014, a failure at a Duke Energy coal ash pond spilled thousands of tons of ash and millions of gallons of contaminated water into the Dan River. 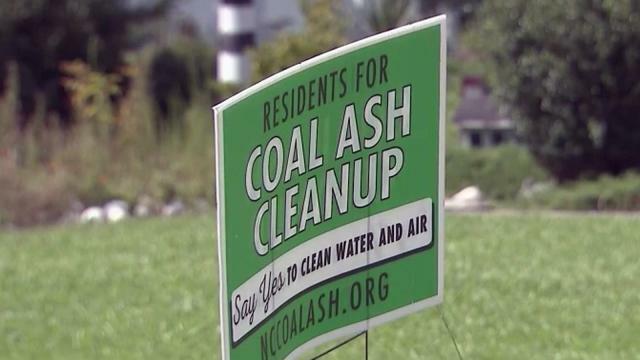 The spill raised concerns about the structural safety of other coal ash ponds at Duke Energy sites around the state as well as the potential for contamination of ground water – particularly of those with household wells near the pond sites. Through the next year, contradictory bureaucratic and legal wrangling continued. In March and April 2015, the state sent letters to 425 well-water users near coal ash sites, saying they should not drink or cook with the unsafe water. Even as the letters were going out, a bureaucratic tug-of-war raged between political appointees and staff scientists. The governor’s top press aide got involved – and maybe the governor, too. Finally, the administration decided to change its position. Another letter went out. Rather than dampen concerns, the new letters added fuel to the controversy. Lawsuits led to sworn depositions. Details of the depositions are disclosed followed by a hastily called late-night news conference with accusations, declarations and charges of character of assassination. Amid it all, citizens still don’t have any more security about whether their household water is safe. This is not a pitch for “House of Cards” or a skit on “Saturday Night Live.” You cannot make this up. The McCrory administration struggles to get its house in order. The word is dysfunctional. Finger pointing may keep lots of people busy, but it doesn’t solve problems North Carolina faces nor address the needs of its citizens. Copyright 2016 by Capitol Broadcasting Company. All rights reserved. This material may not be published, broadcast, rewritten or redistributed. Rates hit 2.75% APR (15 yr). See if you're eligible. Aiden Audric Aug 30, 1:48 p.m. I know it's been said before, but it really would clear things up quickly. Bring the water to downtown Raleigh and pour a glass for everyone in the legislature, and one for Pat and ones for his staff. Serve them a nice stew made with the water - and a salad washed in the water. Skip Harris Aug 23, 9:40 a.m.
"Get out and Vote."? So, this is basically a campaign add for Democrats? WRAL has absolutely no shame or integrity left, huh? Such a sad and pathetic thing. Food Lion $200 gift card giveaway and new store opening! ©2016 Capitol Broadcasting Company, Inc.